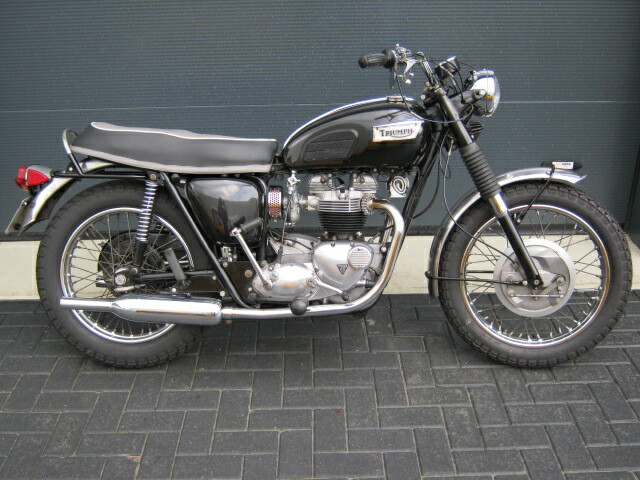 Proper Triumph TR6R from 1970, so the last year of the "oiltank"types. 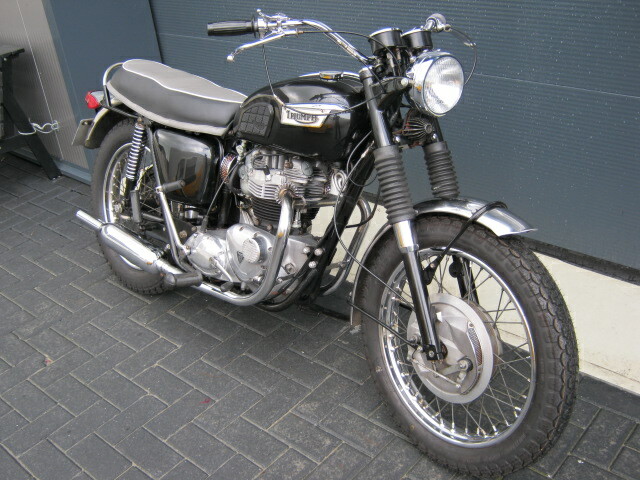 An older restauration, still looking good and running and riding well. Cylinder head was rebuilt in 2009 (incl bill) and tyres are new. At the moment a little headlight is fitted, but the original one is also with the bike. Matching frame- and enginenumbers and Dutch registration.